Being Erin ★ : Quotes that have changed my life. 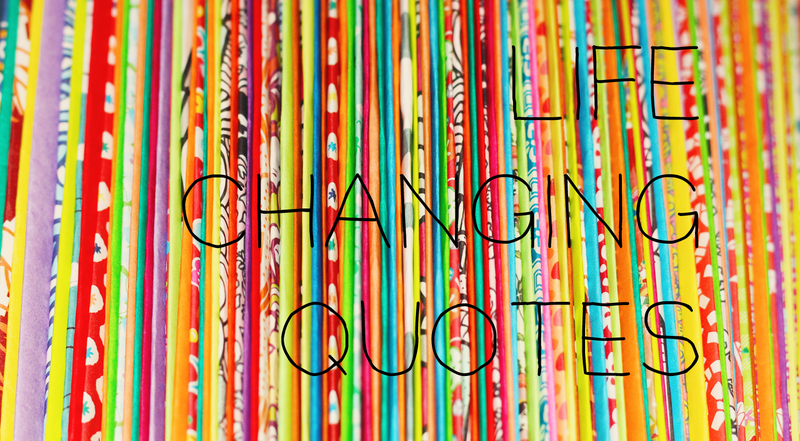 Quotes that have changed my life. I've changed a lot over the last few years. I overcame intense grief and depression and although it wasn't easy, there were some things that helped. Mostly I changed because I wanted to live and experience life and become the person I want to be someday but other things helped too. Television shows helped and quotes helped which is why I want to share them with you. so much inspiration in one post, wow!